A new take on a classic essential. Our classic Diana has been updated for Summer 19 with bound edges. This new-look finish offers a classic and refined one-piece, with a sporty and retro appeal. With deep V neckline, the V point is reinforced and defined for extra strength and finished with bound edges that flow into fine-feel straps. These cross in the middle of the shoulder blades before making their way to the back of the swimsuit to meet in a deep low V in the centre of the low-back. With a mid-rise leg, this finish is a new Tanliines classic. 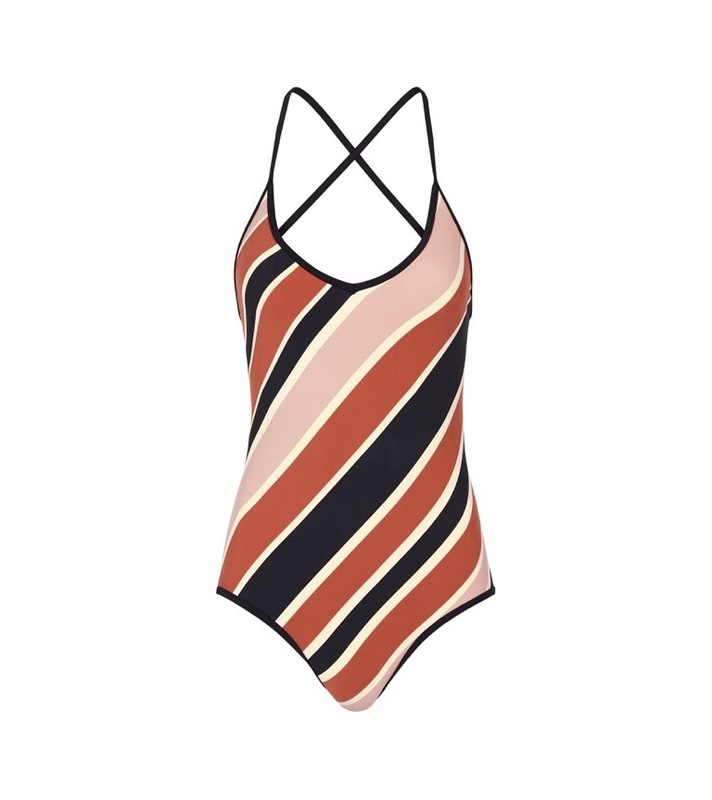 Swim, surf and live in the Bound Diana.